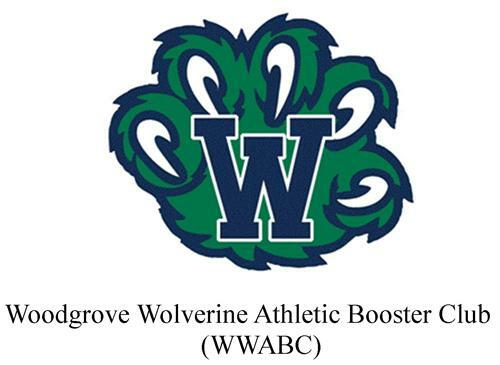 The Woodgrove Wolverines Athletic Booster Club (WWABC) is a non-profit member organization comprised of dedicated parents, students, alumni, coaches, school administrators, and community members who are committed to supporting our student athletes through our actions, programs, and financial assistance. I would like to personally thank each and every individual and sponsor who has contributed both time and money to the WWABC and the athletic programs we support. It is appreciated by the coaches, administration, and most importantly, the students. Those contributions have helped support our program in a number of ways including providing scholarships to graduating seniors, paying for numerous facility enhancements, purchasing of state championship rings, and hosting fall & spring banquets that recognize accomplishments of our student athletes. As with any program such as this, the need for time and financial assistance is constant and ongoing and the 2017-2018 school year is no different. In addition to the ever present budget challenges or administration faces, we are starting to see some of our once “new” equipment, uniforms, and facilities start to show some wear and tear. As a result, our funding efforts are shifting to address this. Our goal is to ensure we maintain Woodgrove’s athletic programs at the highest level possible. The student athletes, coaches, faculty, and administrative staff recognize and appreciate your contribution on a daily basis. Help continue to build the legacy and tradition that began in 2010. To those who are currently not members of the WWABC, I encourage you to join our effort in the support of the member objectives listed above. Become a member and become active. Be a part of the team and support the effort to help our athletic program continue to achieve excellence. I am looking forward to the year ahead and seeing you in the stands.